24,000 books from Canadian publishers, 58,000 public policy documents, growing daily. NOTHING TO LOSE BUT TIME SPENT IN THE LIBRARY. TRY IT NOW! Tools to help you study anywhere. All public documents contain links to the original listing source *. Personalized research notes remain updated and available anywhere (on shared machines or on your own). Stick It! 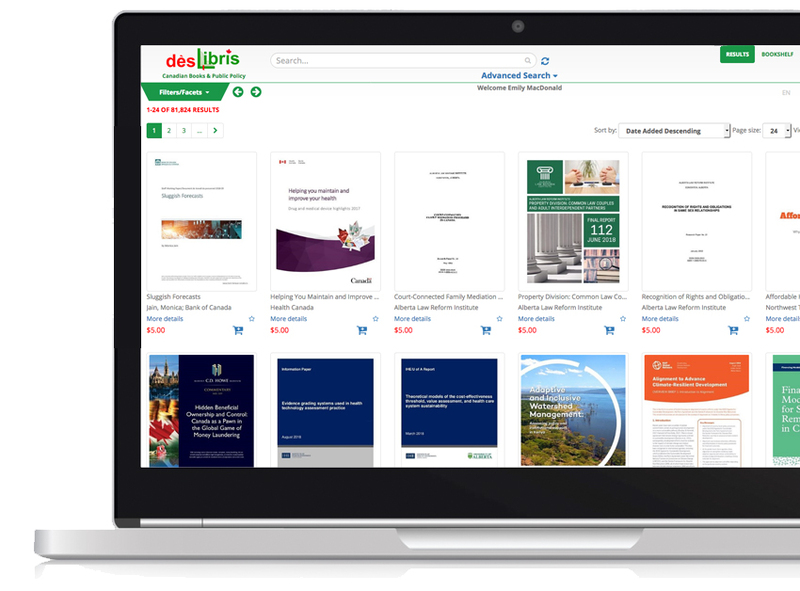 Service provides full access to titles no longer available from the listing source and access to all the reader and personalization features.